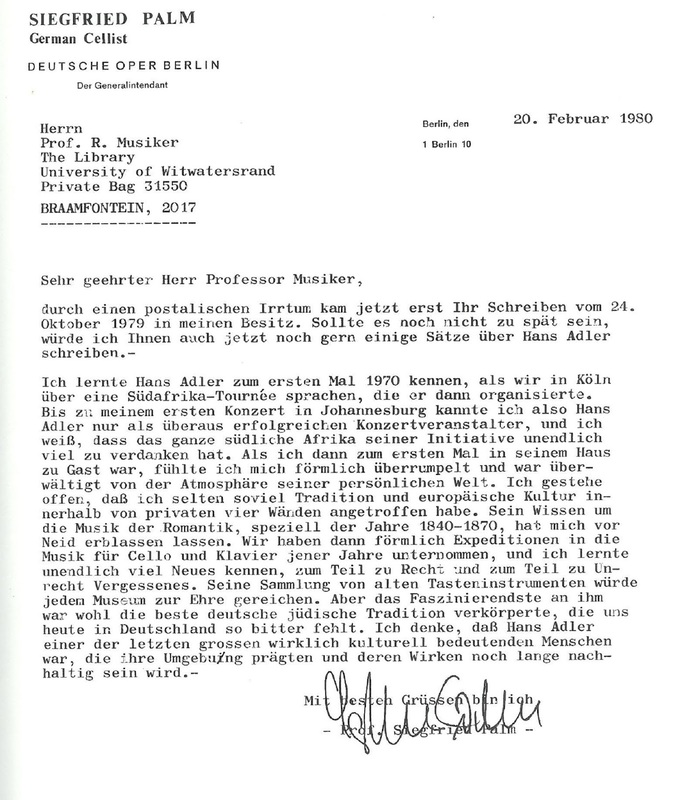 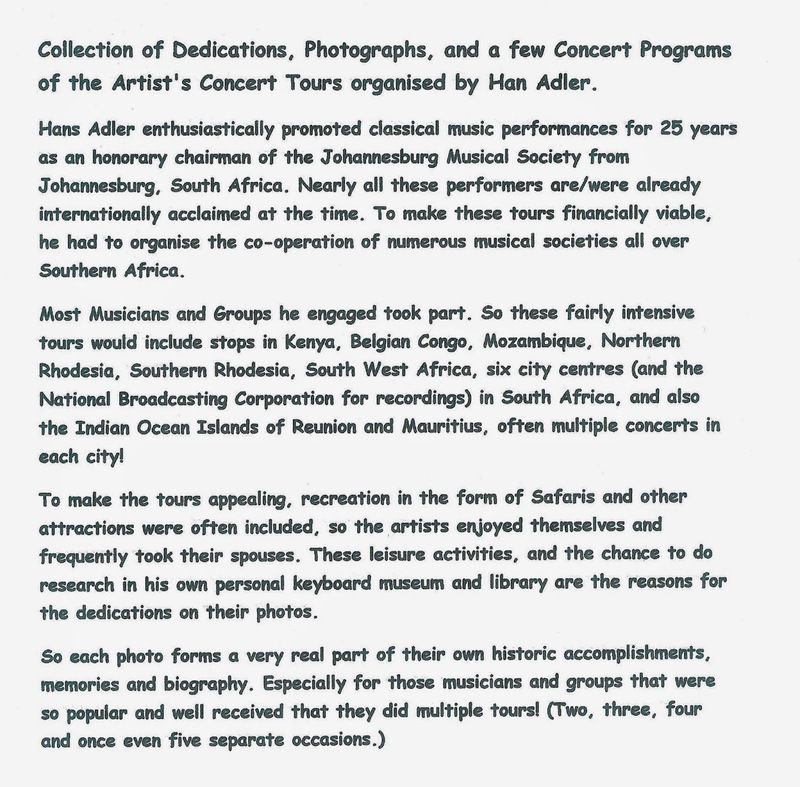 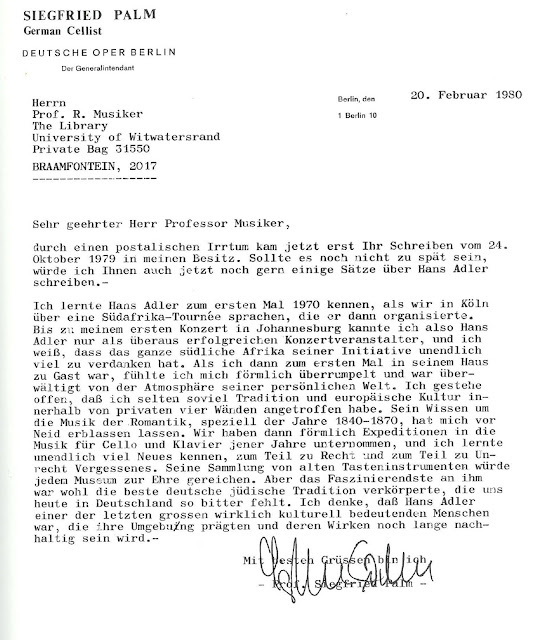 Celebrated musicians' concert tours of Southern Africa 1953 -1978: 1971 on - Siegfried Palm, German avant-garde Cellist. 1971 on - Siegfried Palm, German avant-garde Cellist. 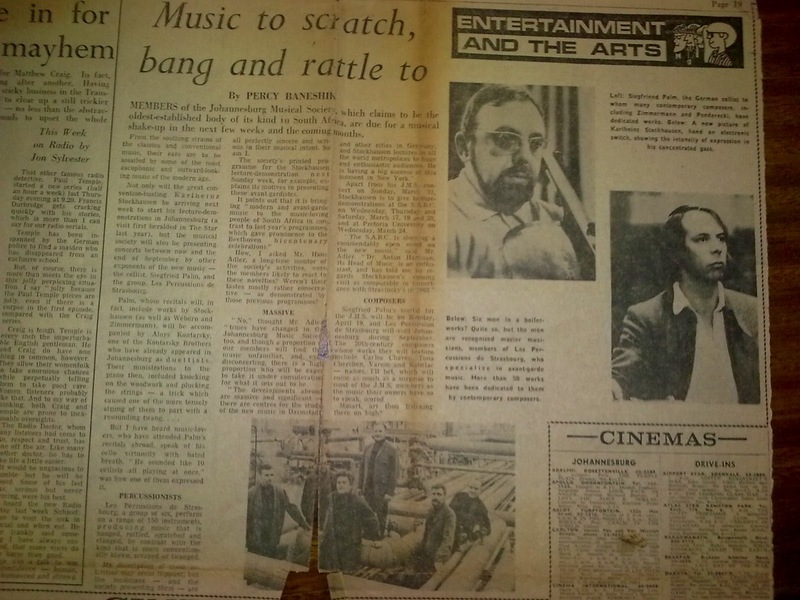 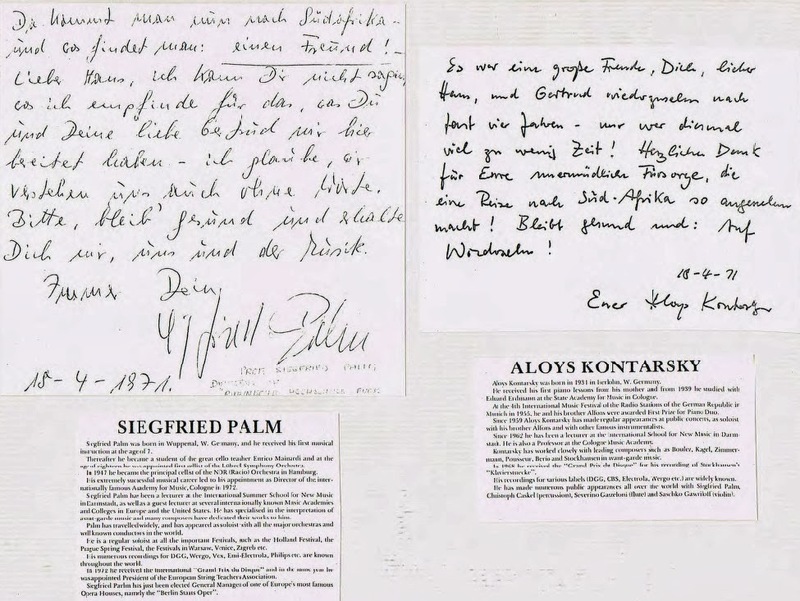 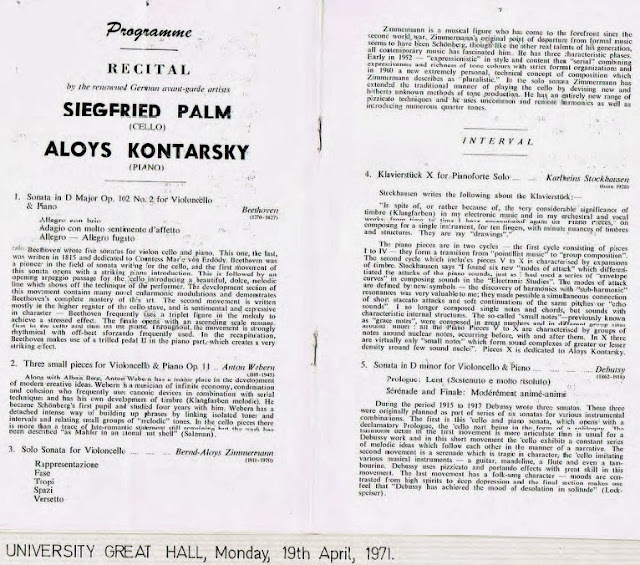 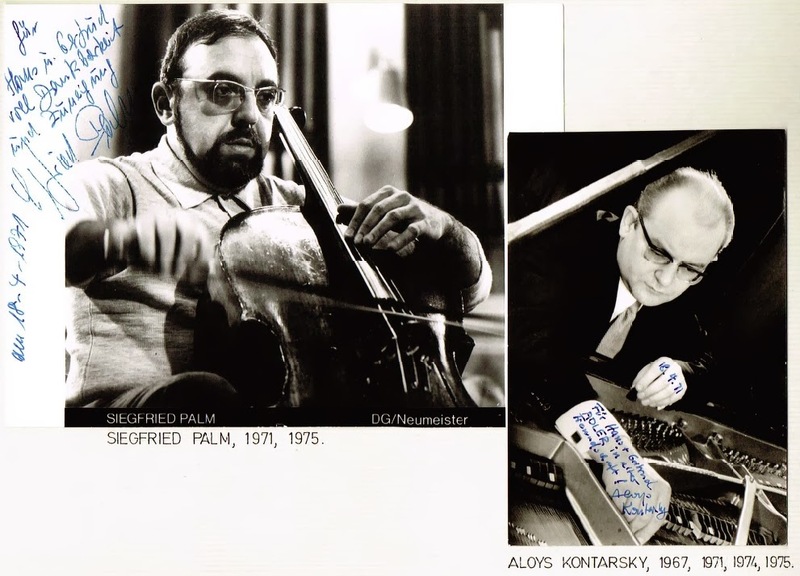 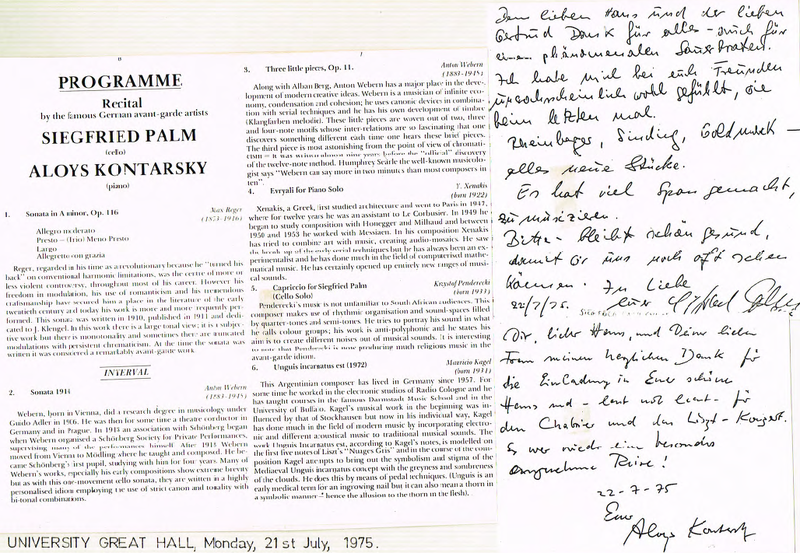 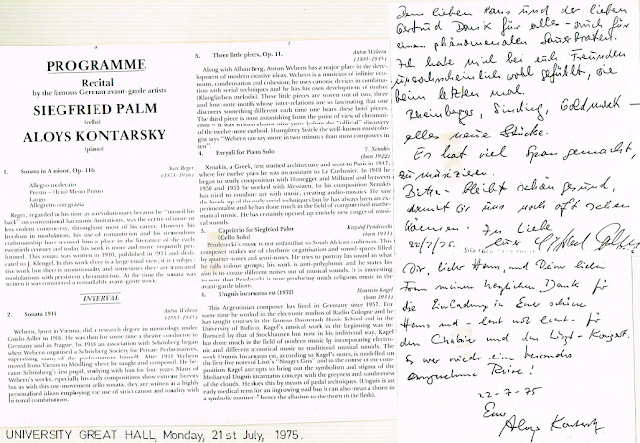 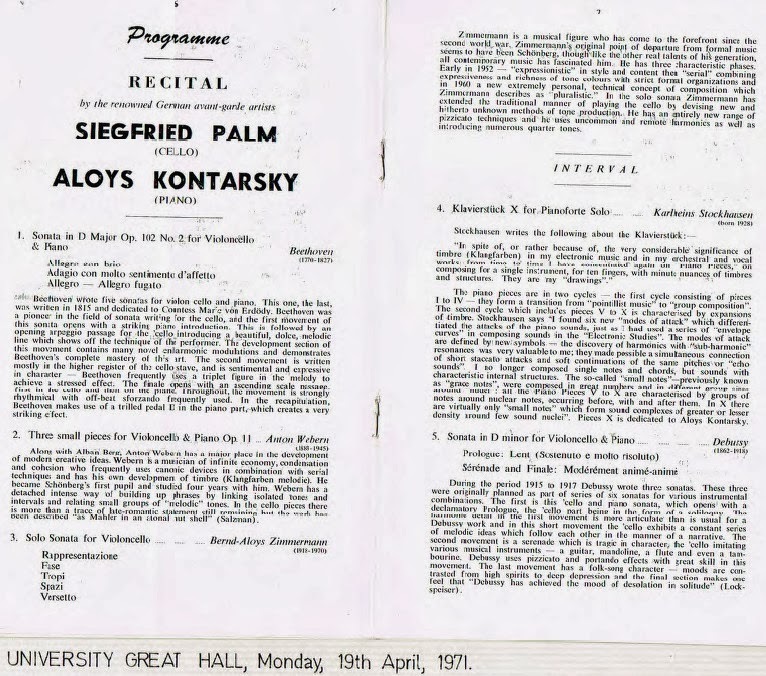 Siegfried Palm, renowned German avant-garde Cellist, 2 acclaimed tours, and Aloys Kontarsky, Piano.